Feel like a professional chef with our Reliant pull out faucet! The pull out spray head with Easy Touch button makes kitchen tasks and clean up easy. The finish matched escutheon is included but may be optionally installed. The BLANCO TORINO JR kitchen faucet is perfect for traditional kitchens. With the full assortment of SILGRANIT colour-match finish options, this faucet can be paired with a wide variety of drop-in and undermount SILGRANIT kitchen sinks. The TORINO JR features a pull-out sprayhead with dual selectable spray patterns. BLANCO faucets are designed to perfectly match BLANCO SILGRANIT and Stainless Steel sinks. 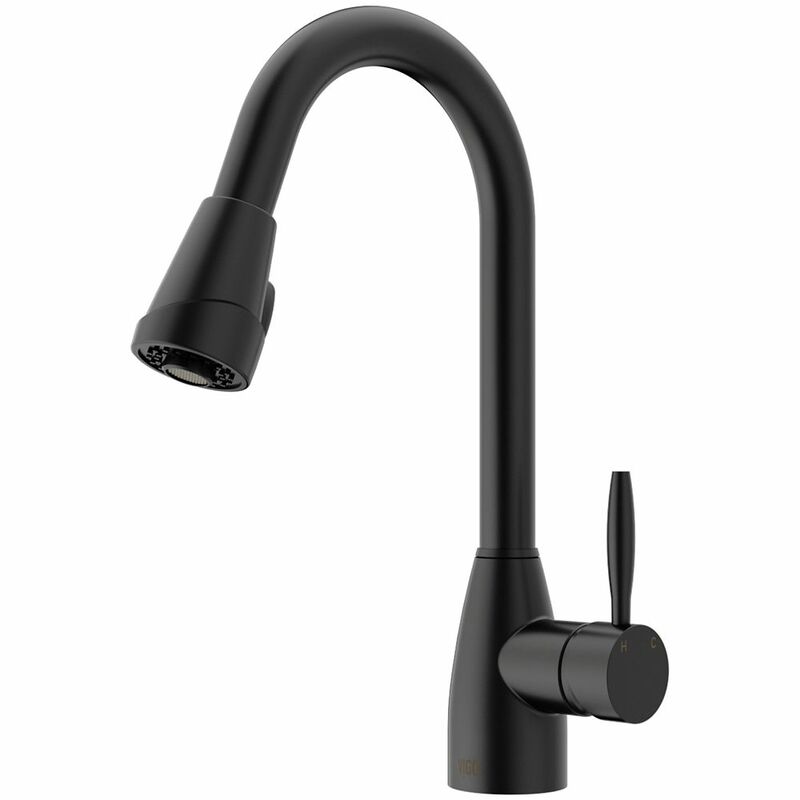 Graham Matte Black Pull-Down Spray Kitchen Faucet is rated 4.5 out of 5 by 97.